Is this a new Killswitch Engage song? 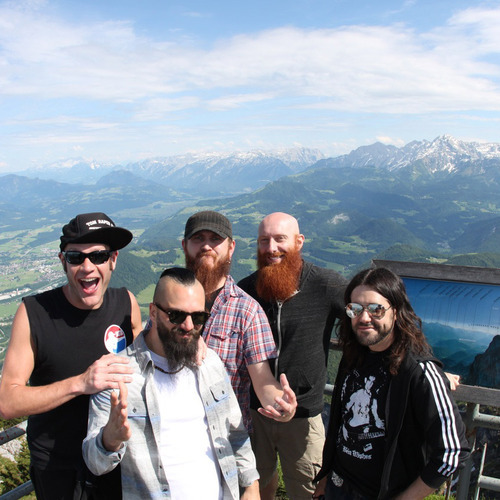 An allegedly new Killswitch Engage song has leaked online, untitled with no other information. The song was doing the rounds on YouTube earlier today but was of course taken down swiftly by Warner Bros, who own Roadrunner, and that in many ways confirms that this is Killswitch. However, Lambgoat have a stream of the song right now. In case you’ve been living in an undersea kingdom, this is the first song with Jesse Leach back in band. The as yet unnamed album is roughly slated for a late 2012 or early 2013 release but this track sounds finished, perfectly mastered and release ready, which could suggest a release date sooner rather than later. The band has yet to comment on the song’s leak. The untitled song is still very much in the vein of Killswitch’s recent material, and thankfully doesn’t sound like nostalgia trip to try and recapture the sound of Alive or Just Breathing. Any effort like that would simply have been contrived and ultimately sounded weak. Despite it being only one song it suggest some much stronger material on its way compared to 2009’s, still good, self-titled record. Better check out the song HERE quickly before it gets taken down again.